My forms are disabled. Please help. I am creating a simple evaluation form for a committee to review abstracts submitted. I am only asking a few questions, so its not a large form and i am not asking for any personal information or payment information. 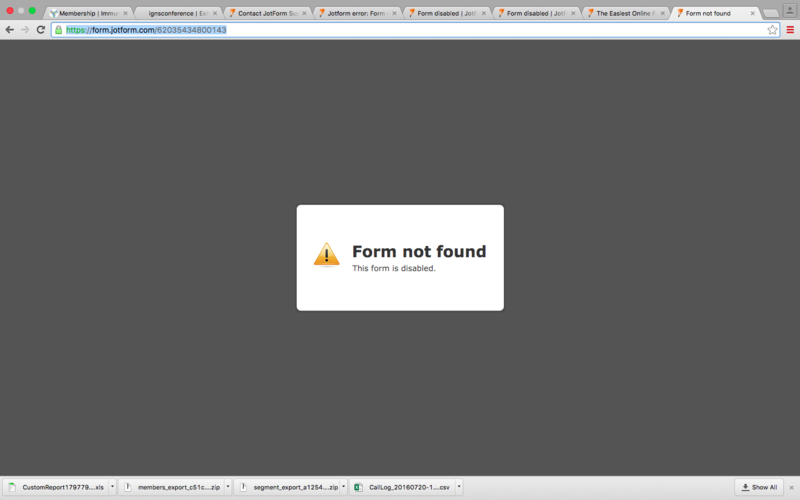 When i go to preview the form is shows that Form is not found and that it has been disabled. This is a duplicate thread to https://www.jotform.com/answers/888783/ which was just addressed. So, we are marking the thread as answered. If you have any questions with the issue, we request you to follow-up on the other thread.